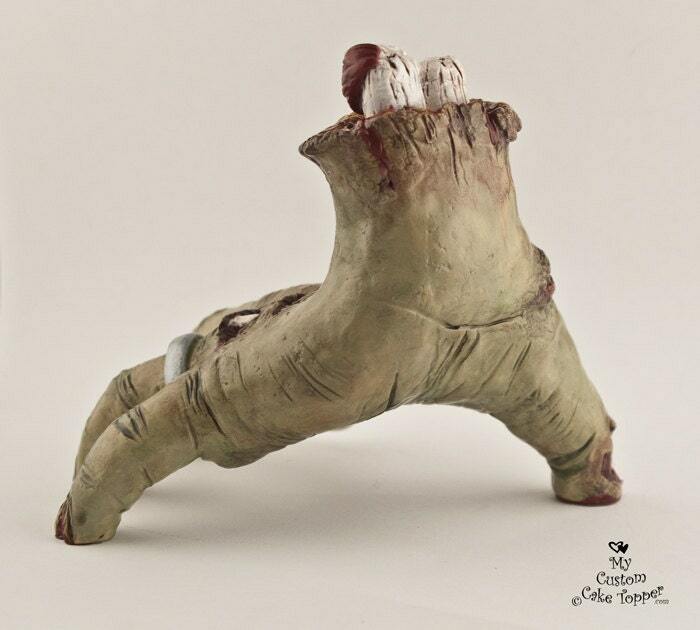 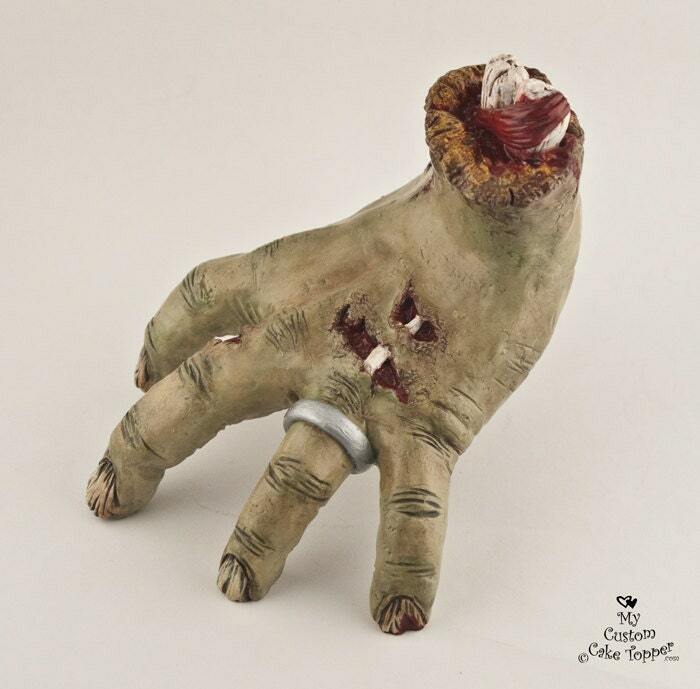 Zombie hand wedding cake topper! 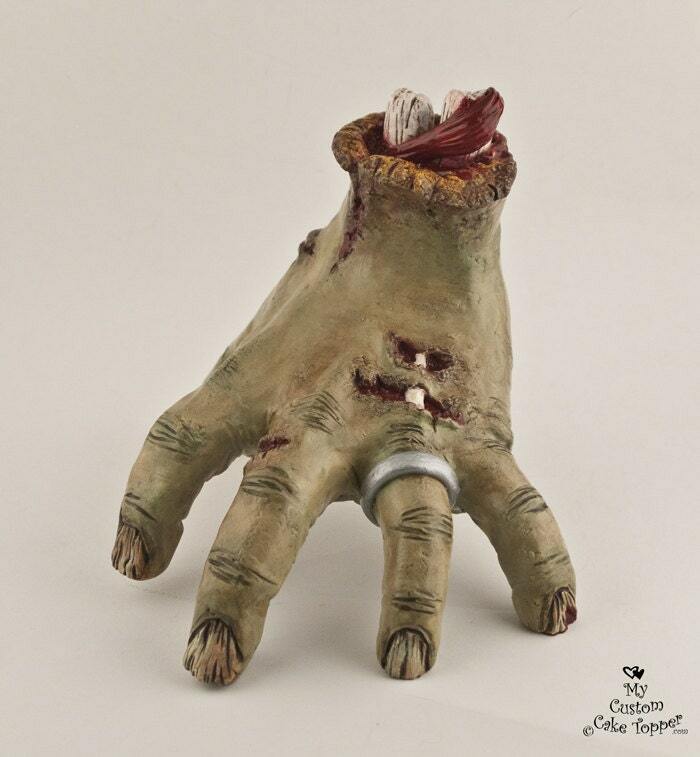 Perfect for the zombie lover and lover of gore. 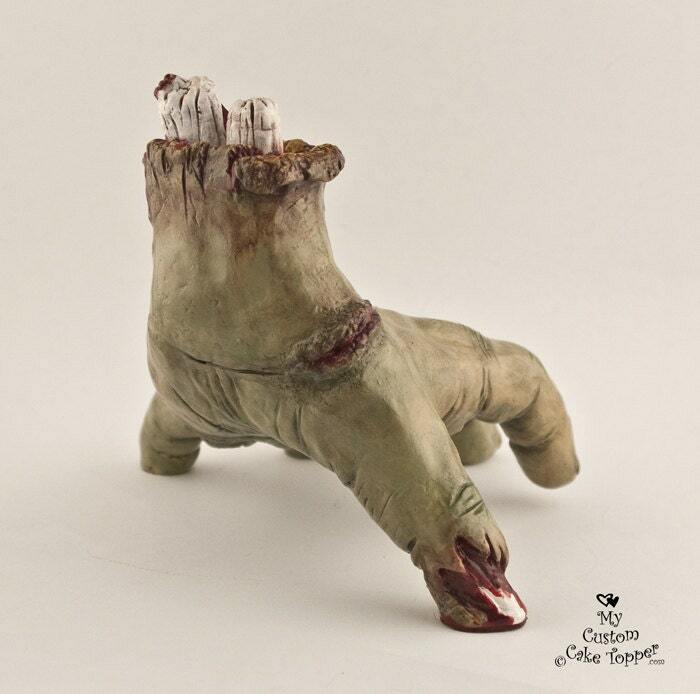 The zombie hand is life sized. 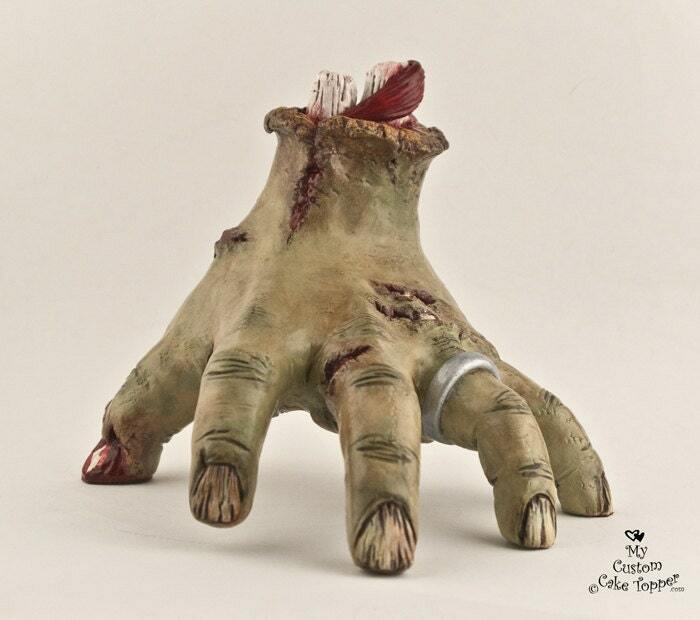 The pictures shown are an example only, your hand will be made just for you and will vary from the one shown.